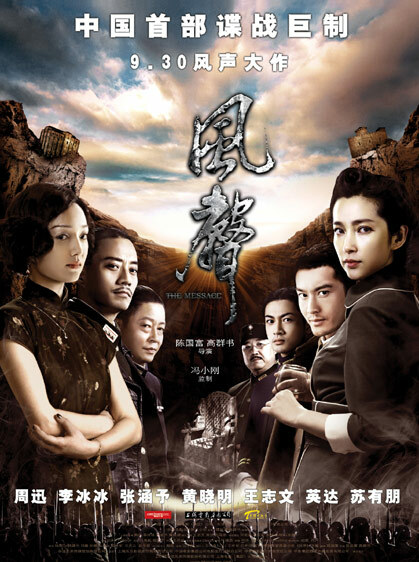 Andy Huang Nov 09 2011 11:25 am The Message or the original title: Feng Sheng ('Sound of Wind')' is an excellent movie, one produced under huge budget by the powerhouse Hua Yi Brothers, starring all the leading stars under Hua Yi: Li Bingbing, Zhou Xun, Zhang Hanyu and Huang Xiaoming. The outcome is simply a killer show, a must to see one! It's so cool that i watch it a couple of times. Highly recommended! "...The two hour movie manages to bring together some credible names to create an authentic look for the movie. Jake Pollock (Yang Yang)’s lush cinematography enhances the intricate costume design by Tim Yip (Red Cliff). The comfortable pacing of the editing, the well executed soundscape and the entrancing production design will mesmerize viewers from beginning to end. There is something about movies which help people like this reviewer to learn more about history. And despite being a fictional thriller, this finely made production has left this reviewer wondering what it was like to live in a time when you lived for your country." iliekater Feb 07 2010 6:16 pm A very strong scenario with very good interpretations . It is for sure that in the future this film is going to be used as a reference for comperisons .